What future events do YOU see in there?? 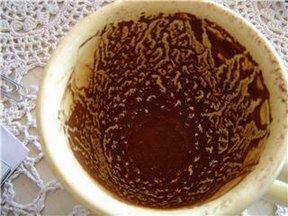 No afternoon Greek coffee date would be complete without someone’s aunt or grandmother offering to “read” your cup. When you’re super little and have no concept of the gravity of future you find a lump of coffee sludge being able to tell you things wildly entertaining. Fast forward to your teenage years and suddenly, you want that relative to answer all the burning questions of young adulthood like will I ever get a boyfriend or what college is going to accept me. About 4 years ago, I had a friend’s aunt read my cup during a particularly rough period in my life. Nothing of what she told me made much sense or more importantly, gave me comfort…in that moment. However, in hindsight, everything she pointed out to me has actually occurred. I just couldn’t digest it all in the frame of mind I was in. This brings me to present times. Recently, a friend recruited me to visit what I am affectionately calling a bruja (Spanish for witch). This little Puertorican lady has been blessed with the gift of communicating with the spirit world i.e. a medium. Surrounded by infinite statues of saints and other worldly figures, she channels the messages your guardian angels and/or loved ones want to give you as well as answering any questions you may have beginning and ending with a prayer. Now, I understand not everyone in the secular world believes in the presence of spirit guides etc. but I always have. And when the going gets tough and I am in need of some perspective on matters internal, the bruja can be the perfect counsel. While sitting in her little waiting area, cold and overly pensive, I reviewed the events of the past year. If that year could be given a theme, it would be “UPHEAVAL.” The amount of situations and individuals that changed and/or disappeared from my little life overwhelmed me to the point where my sleep and nutrition suffered. It has only been in the last few months or so that I have felt settled and somewhat “safe” within my current environment. I wondered what would come through when the bruja started her distracted scribbling, a technique also known as automatic writing, which is used to open communication with the dead. While in her trance like state, many things she uttered made sense to me. What made the biggest impression on me was her exclamation prior to me asking or uttering anything other than my full name to her. Yes, I do believe that some psychics are just intuitive people who are able to read the emotions, body language and mental state of the individual coming to them for advice. They assess and ask the right kinds of leading questions that allow them to be spot on about many aspects of your life; however, they don’t actually predict anything that you don’t already know. My bruja said some goosebump inducing things to me. Only later on in the reading, when her eyes cleared of their fixed, glazed over gaze did she give more of a grandmotherly, human perspective which I sensed did not come from any of my guardians beyond. 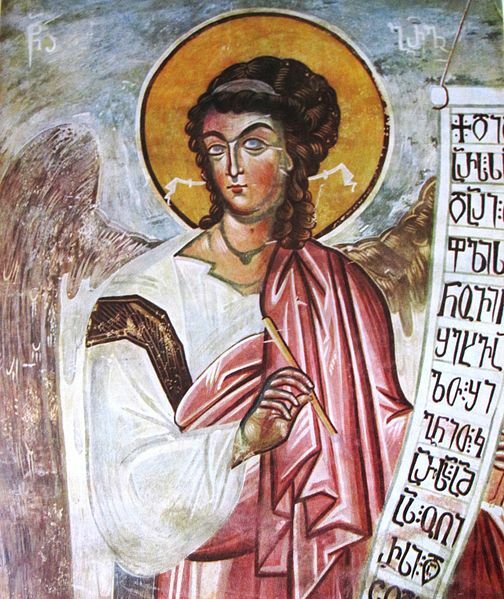 In Christianity, Judaism and Islam the Archangel/St. Gabriel delivers the messages. I walked away a mixed bag of emotions. Later that same evening, I wrote out everything my ridiculously clear episodic memory recalled from our session. I hadn’t looked at her words until last night, when in one of my pensive moods. A few things stood out to me that I wanted to paraphrase here because they could help others live a little more open to what the universe has to offer. Take care of your body – put nourishing things into it and keep it fit. Take care in how you present your outward appearance. Take care in what you say – your words are powerful and affect others profoundly.